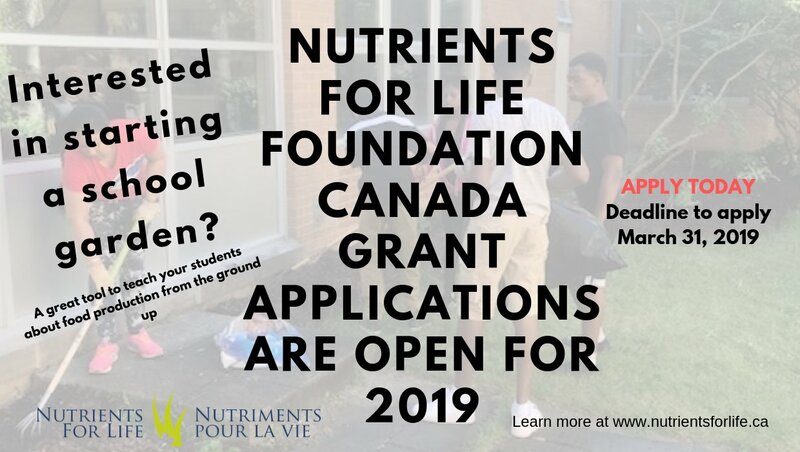 Please feel free to visit https://www.nutrientsforlife.ca/site/learning-gardens-apply and apply for their Learning Garden School Grant Program. Application deadline is March 31, 2019. All gardens who will receive grants will be contacted on or around March 31, 2019.